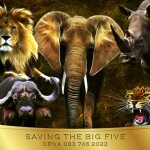 Cape Town Tourism celebrated its first decade last night at a festive AGM at the Tsogo Sun, Cape Sun. More cause to celebrate was the announcement that the organisation has secured a three year partnership with the City of Cape Town worth R 120 million, effectively enabling them to continue to be the official visitor services and tourism marketing provider for the destination. Previously the mandate had only been year to year. The event was well-attended by more than 400 people with the event hashtag #CTTAGM trending on Twitter in both Cape Town and South Africa. 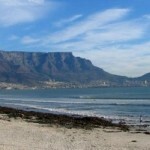 Cape Town Tourism shared that one of their key focus areas continues to be seasonality. Cape Town Tourism’s Winter Campaign for 2014 (in conjunction with Thompsons) had shown a 20% increase in weekend packages sold year on year. The organisation is planning an accelerated winter campaign for 2015. Events are also central to spreading visitor numbers across the calendar. Executive Director of Tourism, Events and Marketing at the City of Cape Town, Anton Groenewald said that the City had delivered on their events strategy with a publicity value of R500 million being generated through events in just under a year. The recent Cape Town Fringe Festival has been invited to join a global affiliation of fringe festivals and Open Design attracted 10 000 visitors. Sporting events such as the Cape Town Marathon, ITU Triathlon and Lion of Africa Golf Tournament were also pulling in the numbers. 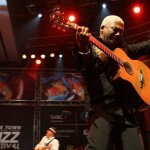 Groenewald reaffirmed the City’s commitment to design as a development sector, beyond this year’s World Design Capital. He also looked forward to building on the success of the first World Travel Market Africa that was held in Cape Town earlier this year. 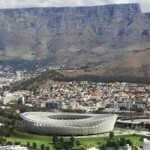 Cape Town Tourism reported back on a good financial year with an unqualified audit. They also shared the success story of their first (also first in Africa) mobile visitor information centre, Thando. It was revealed that “more Thandos” would be launched before the end of the year, along with mobile visitor information motorbikes and bicycles. Long-standing Cape Town Tourism board members, Sabine Lehmann and Nils Heckscher stepped down and new board members Grant Newton (from Groot Constantia) and Alushca Ritchie of Cape Connection were voted in. 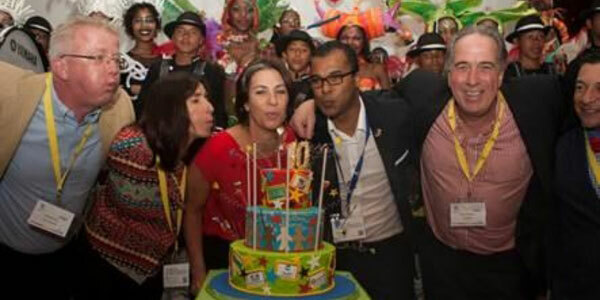 The formalities ended off with a birthday song and procession from the Cape Town Carnival and the presentation of a birthday cake created by Cape Town’s famous Charly’s Bakery. Guests proceeded to enjoy a generous spread of food and desserts courtesy of the event sponsor, Tsogo Sun.